You need e-learning software that can adapt to your online learners’ needs and preferences, including which device they use to access the e-learning content. A multiscreen responsive e-learning authoring tool ensures that everyone gets the same online training experience. The software automatically adjusts the e-learning content to suit their screen. Another great feature to look for is a built-in responsive previewer so that you can verify legibility, image placement, and so forth. Most organizations already have a media library on hand. The issue is that it’s often limited or topic-specific, based on e-learning projects you’ve worked on in the past. As such, you typically need to source additional online assets to enrich the online training experience and improve interactivity. For this reason, a built-in online asset store should be at the top of your wish list. It needs to include all the essentials, from cutouts and themes to royalty-free images, saving you the time and trouble of having to curate third-party online training resources and obtain the necessary intellectual rights. All other features hinge on this crucial element. 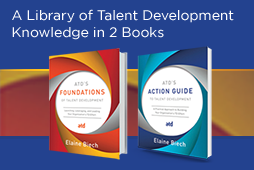 Look for a rapid e-learning authoring tool with an intuitive user interface so that every member of your L&D team can use it to their advantage. The user interface should be simple and straightforward to avoid tech hurdles. Ideally, the tool should strike a balance between creative control and usability. Your L&D team probably enjoys creating quizzes as much as online learners enjoy taking them. It’s time-consuming to develop questions from scratch, design the layout, and set the evaluation criteria. Fortunately, effective rapid e-learning authoring tools do most of the work on your behalf. They feature customizable quiz templates with a broad range of question types, from short answers to multiple choice. Some are even equipped with e-learning assessments that provide immediate feedback and allow online learners to brush up on the topic before revisiting the question. Screen captures are essential for software simulations and video demos, for example, showing corporate learners how to complete a sales transaction or troubleshoot a tech problem. As such, your next rapid e-learning authoring tool should have integrated screen capture features that record every minute of the action. It’s also wise to choose a rapid e-learning authoring tool that turns your raw footage into a responsive project that’s accessible on any device. One of the most overlooked rapid e-learning authoring tool essentials is built-in storyboarding. Most organizations use e-learning storyboards to map their e-learning content and streamline workflow, as every member of the L&D team gets a detailed overview of the e-learning project, as well as which tasks they’re responsible for. You’re able to develop interactive e-learning storyboards that feature question slides and branches, then use them to create engaging online training activities, all in one tool. It’s challenging to design effective e-learning on a tight budget. The last thing you and your accounting department need is to have to invest in a separate video editing tool after you’ve purchased new rapid e-learning authoring software. Thankfully, some rapid e-learning authoring tools are now equipped with built-in audio and video support that allow you to produce engaging e-learning content, such as demo videos, podcasts, and interactive online training tutorials. Does your current rapid e-learning authoring tool have these essential elements? If not, it may be time to look for a replacement. Find out how Adobe Captivate can help you check all the boxes on your list without breaking the bank.